Most of us use (and abuse) acronyms in chats and texts. Even in posts. Today, we will have a look at some acronyms used in research, and how they relate to the intended use of reagents. Let’s start by the basic one, RUO (Research Use Only). It means that a given reagent is basically for that, for research. ISO procedures don’t apply, though for quality and prestige purposes, most RUO reagents fulfill ISO 9001. But in fact, RUO does not imply anything related to the quality or validation of the reagent itself. It means that it has to be used by qualified personnel, and that the guarantee, in case the reagent fails to perform as expected, is limited to replacement of the reagent itself or the money one spent in purchasing it. Then, we can go to IVD (In Vitro Diagnostic). Regulations apply here, the most common one being ISO13485. Apart from this, IVD reagents are subject to local regulations, such as CE marking in Europe (i.e. meaning that they fulfill European Directive 98/79/EC). 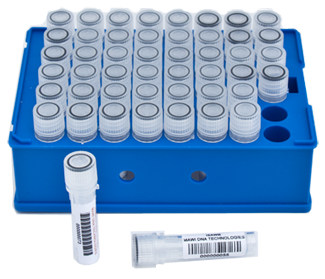 In this case, to make a long story short, reagents are subject to more or less extensive validations including clinical samples. Let’s take an ELISA, for example. For a RUO ELISA, validation with samples having recombinant protein spiked in is usually enough. For IVD ELISAs, however, validation including real clinical samples is usually mandatory. Extent of the validation depends on several factors, one of them being the diagnosed disease itself. For example, HIV IVD tests (normally based on qPCR) are some of the most-validated IVD kits in industry, as they require extensive clinical validations before being launched to market (not only in qualitative terms – they detect HIV-; but also in quantitative terms – e.g. viral load, as this is a key criteria to decide on diagnosis and further treatment strategies). Another acronym: ASR (Analyte Specific Reagent). This is more FDA-related than CE-related (for documentation freaks, it corresponds to 21 CFR 864.4020). It applies to reagents that, not having been validated for IVD, still fulfill some validation and regulatory criteria. In brief, they are reagents that are used as the active ingredient of an in-house diagnostic kit. But since they are the active ingredient, and not the complete kit, they cannot be qualified as IVD, but as ASR. Let’s take an antibody. One can imagine that this antibody is used in an immunohistochemistry to diagnose or prognose a given disease. If extensive validations have been performed by the manufacturer, then this antibody can be labeled as IVD, and the kit would initially include the antibody and all complementary reagents (or even instrumentation!) in order to perform a diagnosis. If this antibody is sold as such, that is, antibody only with no complementary reagents, it can be sold as ASR if some validation has been performed (NB, ASRs need some validation, but not as thorough as the one for an IVD). In this case, it is the responsibility of the user to decide on the complementary reagents, and validate the use of this antibody in an in-house test with clinical significance. In fact, the notion of ASR was established to fill the gap between RUO and IVD reagents, especially when IVD products are not available for a given biomarker. This gap still exists in Europe, where equivalent regulations to FDA’s ASRs has not been fully developed yet. So, what implication does this have in real life? At the Biomarkers team at tebu-bio, we sometimes get requests by physicians for ELISAs or antibodies to diagnose a disease. In some cases, there are no CE-marked kits available. ASRs don’t exist in Europe. So, whether we like it or not, the only available kits are RUO. Some RUO kits are manufactured under ISO13485, and are kind of “high quality” kits. However, we must make clear that in Europe, if they do not have the CE mark, they are not IVDs. Even if they fulfill the parameters set in ISO 13485 and many (if not all) the 98/79/EC requirements. For these cases, it is important to note that these products are not to be used as the sole parameter to establish a diagnosis or decide on a therapeutic treatment, and ideally, they should undergo an internal validation at the user’s facilities with clinical samples. It is important to consider these acronyms, especially as more and more biomarkers are found, and their use in clinic can be limited not only by the need of further studies to link these biomarkers to a given physiological state, but also by the availability of kits in the market to study them. Have you heard any of these terms, or do they affect your research? Share your comments below! 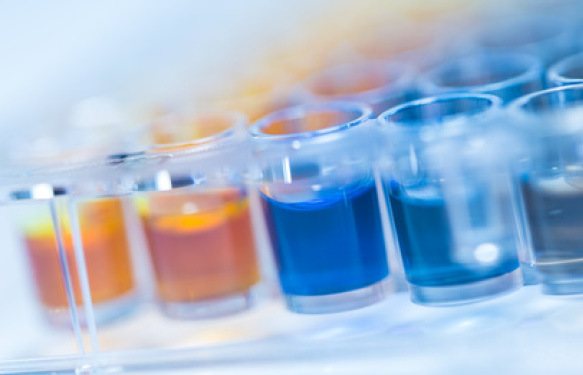 when you perform analytical tests (qPCR) for the development and validation of an assay (towards an IVD assay), do you have to be a GMP lab in the end? Or is ISO17025 sufficient? What is the major difference between LDT and IVD with respect to tests required for validation. My colleague Paola is going to contact you via your e-mail address to discuss further about these acronyms.